And although I’ve written about this event and its many repercussions in my book Lost and Found, it occurred to me last month—I’m a slow learner—that nothing has been the same since. Eckhart Tolle might call it “a shift.” Carlos Castaneda in the Don Juan books might refer to it as “moving the assemblage point.” And what I would call it is an ongoing recognition of beauty and sufficiency. Because living with the terror and shame following the loss was like running on broken glass, I needed to be fierce about redirecting my attention, moment to moment, on what really mattered. Sensing my hands, my legs, my inner body was no longer a luxury, it was a necessity—and the only place in which I could rest. Geneen: This was exactly what I needed today. I have been dealing with kidney failure for almost 6 years now. In addition I am dealing with the after effects of a brown recluse spider bite. There are multiple issues which are not ones that seem to “improve” but stay with me. So readjusting my attitude, my life, my expectations has been a challenge. I thank you for the flower reminder. I buy myself a bunch every two weeks and enjoy them every minute. Need to get new ones soon. Thank you for sharing your wisdom and providing it “free” online. Many blessings to you and your work and all those you touch with your wisdom. For a couple years, I think, I had a virtual post-it on my desktop of a quotation from one of your newsletters. When IT was called in recently to fix a problem, that lovely message disappeared. I’m hoping you can help me. The message was that we too often live in regrets of the past, with “if only” influencing our present and future instead of focusing on the present moment, the only moment we can actually do something about. You said it so succinctly and elegantly and it has helped to anchor me in the present. Would you please send me a link to that article, or provide that quotation. I would very much appreciate it. Thank you! presence in this world; for the gifts you bring, the sweetness you declare with your bountiful, shared wisdom. Today, I am grateful for all things in this moment, as they are each real….real gifts!! So easy to say..so hard to do..live in the now….but to stop trying is to give up hope..and that I will never do!! wow! we don’t know what we don’t know until the time comes when we are able to get it. i, too, have struggled, lost everything, and survived. with each struggle, another piece of life’s puzzle seems to fall in place. it is an amazing ongoing journey journey for us all. Thank you for these essential reminders about presence as the ultimate shelter. as I do in other areas of my life . Right now it appears I am being given many situations to develop that trust. Thank you for pointing me back to what is most important. I know this but forget when I give iin to fear . 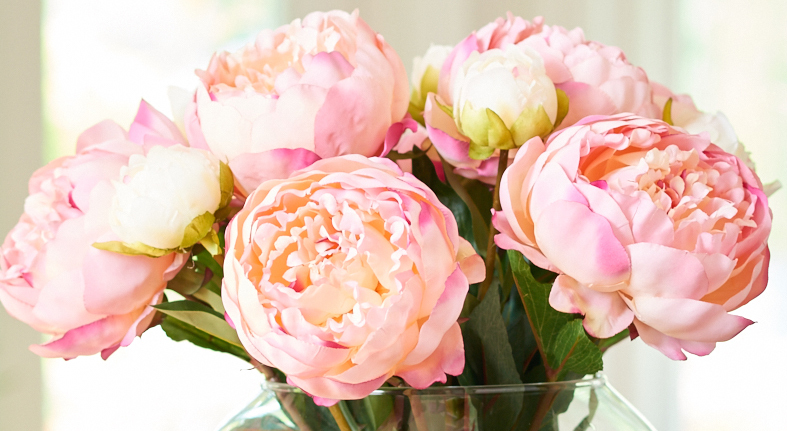 I am glad you immersed yourself in the beauty of your peonies. Thank you Geneen for your gift to the world? Geneen, without having experienced your specific experiences, I could have written your article until the last few lines-I aspire to moving from heady knowledge to day to day living, the mindful life and grattitude that you describe. Thank you so much for being such an inspiring, woman in your honesty with which you connect and express your inner world. I truly feel I love you every time I read your posts as I am still caught up in [greatly reduced] binge eating and with it comes the sense of isolation and nobody really understanding what I am going through internally, and then you take that feeling away. Thank you so much! I love how you write! My heart has been touched by your gift of words. Thank you for your time and support in this journey. Love this article. Have similar sentiments after loosing our business in the recession. I was certain our house would be confiscated as collateral (it was supposed to be), we’d never have the money to send our kids to college and that I jeopardized the comfortable retirement that we imminently planned to enjoy. My anxiety was so great that I could barely get out of bed as the events unfolded. Then I read an article about women who spent so much of their time fetching water for their families’ survival and decided to list my blessings before I got out of bed each morning (using the alphabet as a prompt helped i.e. A for the apples I can eat today, etc.). Indoor plumbing was at the top of the list, along with my families’ good health, a roof over our heads that day and so on. It did not take much for me to think of things to be grateful for. In the end we somehow saved our home from foreclosure, my son got a full scholarship to college, my daughter is on her way to college this September without having to take a loan AND we found the money to complete the renovations I’d always dreamed of. Ever since this sequence of events I’ve been awake to and aware of the abundance that is my life and it has made all the difference. Can’t say I’m grateful for how I had to learn this lesson but am certainly grateful I learned it, better late than never. Gratitude is my go to “cure” for nearly everything that ails my mind. Laughed out load, got teary eyed and is amazed by your delivery of the profound truth……………what we are looking for, we already have/are!!!!!! Thank you Geneen. Bless you Geneen I did lose everything in a divorce after 42 years of marriage and I’m currently living in a travel trailer with my pugs but while I only have 23 feet of living space I have become a turtle and drag my home around the country visiting relatives I haven’t seen in a while. It’s been a nice adventure traveling just myself and the pugs. I always enjoy your Monday sayings on the way thank you. I usually find comfort and understanding in your words but these days, after my dad has died and I am indeed the only one left alive of my family, and I have no friends and no husband or partner, no children and nobody who would want what I might have to give, it makes me bitter to read this. Food is my only long time companion and for me, there seems to be nothing else, ever. I am already in my late fifties and there is nothing to look forward to. I would love to see things in a different light but I have almost no hope left. I feel really sorry for you and what you have lost with your father dying! Words can’t provide much comfort but food can’t either – at least not in the long run! You know that as well as we all do. Thank you, Andrea – that was very kind. I am almost the same as you. My Mother passed away May 30. Alzheimer took her from me and even though she was in a memory care facility I still was involved in her care. Now I feel that I have nothing that needs to get done. There is no father, husband, or sibling. I do have some cousins but only one was at the funeral and I hadn’t seen her for a couple of years. Unlike you I have lost my food crutch. I have a degenerative spinal cord disease and I slowly loose function of my body parts. Today I am in a wheelchair with no use of my left hand. I also need a tracheotomy to breath and a feeding tube in my stomach. I haven’t been able to drive or do any 2-handed projects for 5-6 years or so. So there is my whine, written just for you sorry. What I’d like to say to you is Geneen is right. Be grateful for everything Jesus is giving you. He gives us the cream of (earth’s) crop, that is how much he loves us. He promises a world filled of good things. Start by writing down a few things you are grateful for, keep them little. On my list is I am grateful that I have a ceiling fan in my dining room. The breeze feels great.